The 'Fully Built Range' was introduced to offer businesses 'Ready To Use' vehicles that could work as a one stop solution - offering higher earning potential and peace of mind. 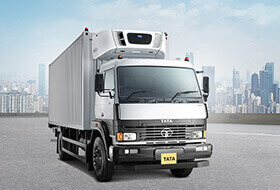 Tata Reefer is the first choice for cold chain transport segments like fruits, vegetables, meat, milk and dairy products, QSR chains, etc. One of its USPs is the superior refrigerated unit that ensures the vehicles performs well even in high ambient temperatures. 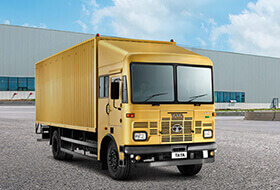 The Tata E-commerce container comes with huge storage space to accommodate the needs of industries like FMCG and FMCD. The vehicle is fitted with weather resistant rubber profile, which makes the vehicle leak-proof - ensuring complete material safety. 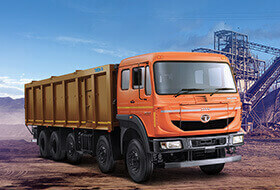 The Tata Load Body comes with features like a climbing ladder, tool box, front guard, and side door. The precise chassis and body integration ensures uniform load distribution and provides higher fuel efficiency. Higher payload capacity, better mileage, and multiple variants to choose from, make Tata Side Wall Trailer a great choice for varying business solutions. 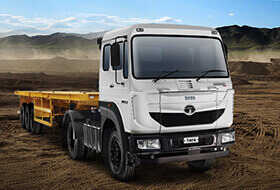 The vehicle provides longer tyre life, high fuel efficiency, and less maintenance cost. 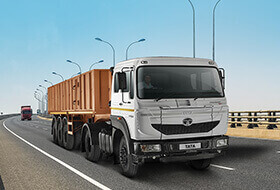 The Tata Flat Bed Trailer is optimized to provide higher payload advantage and more mileage. It comes fitted with industry's best axle and suspension system. The Tata Tip Trailer is a light weight and rugged trailer with faster tipping and shorter cycle time. 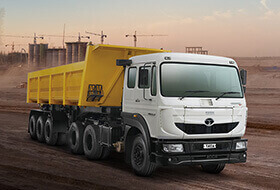 It comes fitted with world-class hydraulic system that ensures customer safety and better performance.